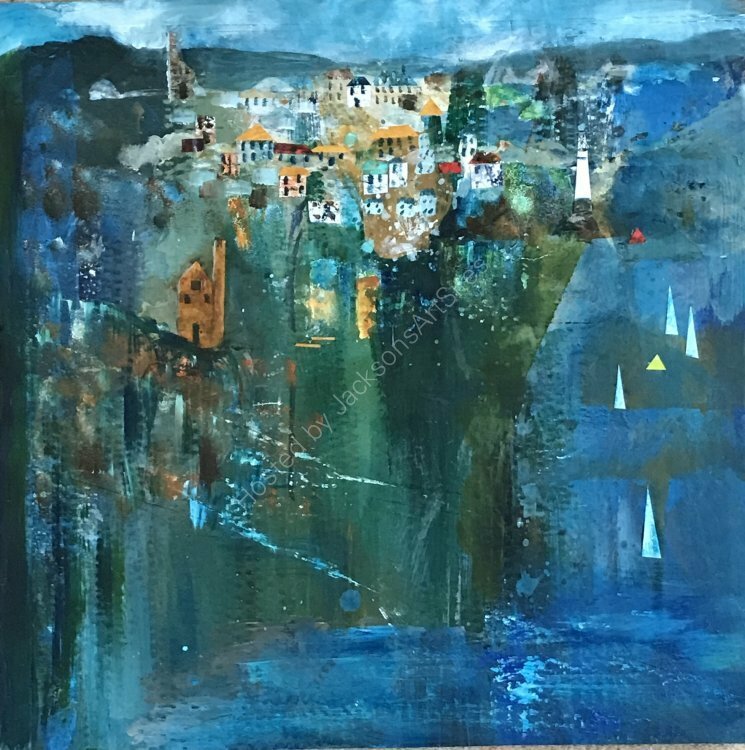 Inspired by the beautiful coast, villages and river estuaries of Cornwall. A mixed media painting approximately 18 x 18 inches. Mounted and framed in a plain white frame.